Viewer’s Choice :: Nominate & Vote Here! I want to know which quilts are your absolute favorites from the entire show! Of course you could nominate your own, but I think it’s even more fun to be nominated by others. Add your favorite to the linky below, and when voting opens, I will make the top 25 nominations visible. I’m excited to share that Baby Lock is generously giving away a Melody machine, just like mine! To enter to win, leave a comment on this post. I would love to win a Babylock! Such excitement! 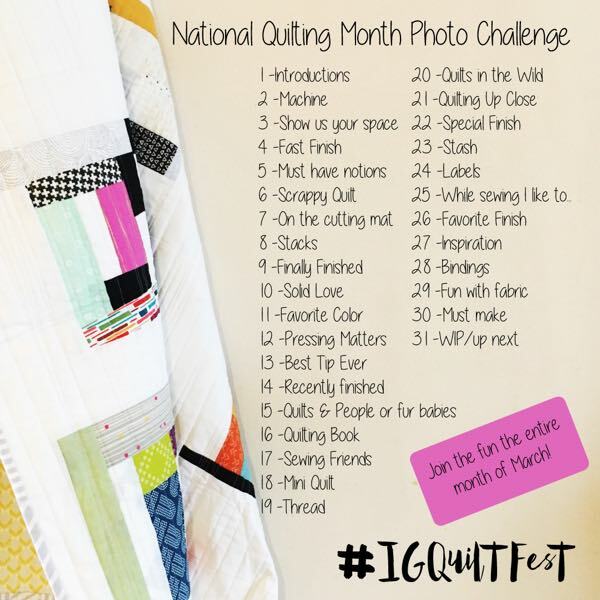 I can hardly wait to see all of the quilts to be entered this year. So many talented wuilters out there. I hope to participate next time. The most exciting of prizes ever! I can’t wait to vote, I’ve been seeing some entries alrwady on different blogs and links here, amazing work! Wow, I’ve seen so many beautiful quilts but I did manage to pick just one to nominate. Thanks for the great show. I can’t wait to vote! Would love that machine! Thanks for the chance! Great opportunity! Thanks for p providing it!!!!! Ooh! Nice quilts & nice prizes! Hey.. I can use a Babylok machine!! Sooooo hard to choose favorites from all the amazing entries! Thanks so much for hosting this! So nice to see so many different quilts. Thanks for hosting this event again. It’s always so inspiring to see the quilts other people make. I added my top two faves! Hope I did that right…those quilts are gorgeous!! Thanks! Thanks for hosting! 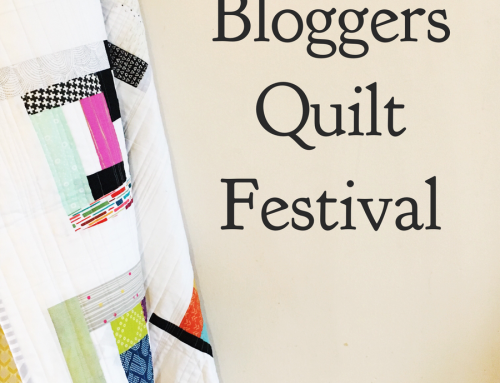 I think this festival is one of the reasons quilters are awesome. Wow, can’t wait to vote! I’m a little confused. 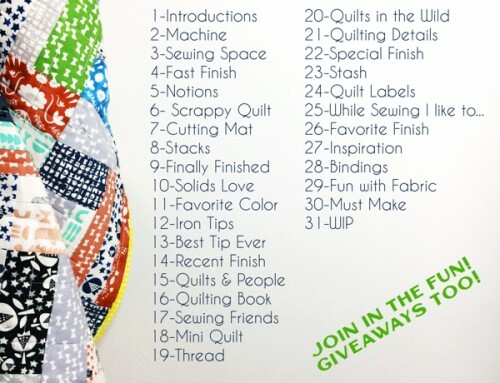 I have tried to add a quilt to the linkup which is I assume how you nominate one for the viewer’s choice but I just get an error message saying “Link already exists in linkup”. Am I doing something wrong? Good work Amy. I have been following via quiltcast and I must say, well done for keeping the hand quilted section. You have not only appeased the hoards of HQ’s, but have inspired me to try it – as I too had similar thoughts (small category-minimal entries). But following the comments I thought, what’s all the fuss and promptly pulled out the needles and thread and began quilting my sampler quilt I began 14 years ago intended to be our wedding quilt (11 years ago). Perhaps I’ll have it finished by our 20th anniversary. Let’s not rush these thing! So cool that someone will get a new sewing machine soon! Good luck everyone. Wow, how generous of Baby Lock! I’m excited about the possibility of winning. =) Thank you! I can hardly wait to vote on my favorite quilts. What a generous thing to do on Baby Lock’s part. I’m lookign forward to voting for my favorites. I’m having so much fun viewing all these wonderful quilts! Thank you again for all your effort to make this happen. Do we nominate by adding a link here? Just want to make sure I do it right. I’ve heard such good things about Baby Lock. Wouldn’t it be wonderful to win one? Good luck to everyone! I tried to nominate a quilt by adding the link here, but got the same error message as mentioned above here. Have tried both in Firefox and Explorer with the same result. Can’t wait to check out all the quilts! Waiting to vote until link is closed, though! Oops, I think I did this wrong, I thought this was the link to enter…Still technologically challenged, unfortunately! Off to check out all the wonderful quilts! Thank you so much for all your efforts. Can’t wait to see the quilts. Great prizes! So fun to see all the quilts. Its like going to a quilt show in your own home. Wonderful inspiration! Thank you for hosting, awesome! Can viewers win? Or just those who have entered quilts? Thank you so much for hosting such a wonderful event! Love seeing all these beautiful works in one place! Thanks. Would love to nominate a quilt (farm quilt) but have no clue. Fortunately, my sewing is superior to my quilting. Thanks for hosting this incredible event, Amy! I will be back tomorrow to vote, vote, vote! 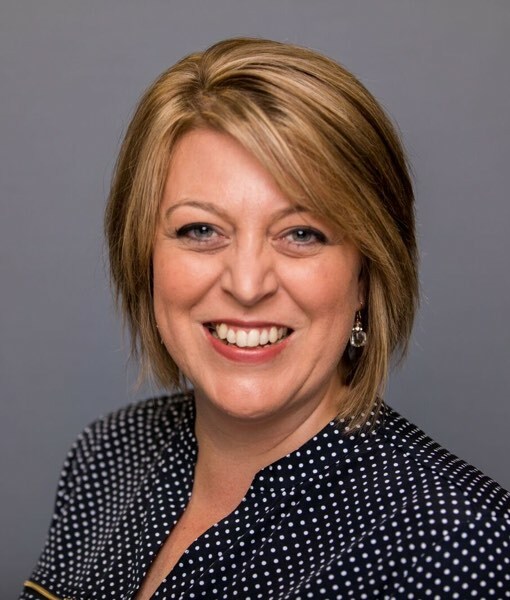 Thanks for hosting this event Amy – cannot wait to vote!! Looking forward to the voting, and finally learning of the winners! Great contest, as usual, Amy! Love the BQF every time! Thanks to Bernina for the chance to win! Always look forward to this event to see all the talent out there . Beautiful quilts. I’m trying to teach myself to quilt and these are very inspiring. Such a wonderful giveaway and festival overall – thanks for all your hard work, Amy! Thank you for hosting the event. We appreciate the time and effort it takes. What a grand idea! Just love seeing all the creativity! Voting was a tough job! Thanks for doing this! Never have entered a quilt contest until yours. (never have even seen a quilt contest!) Flabbergasted by all the amazing talent here and shocked to see my quilt nominated. . . Thanks for all the work behind the scenes setting this up (gathering sponsors, collecting votes, etc). Win a sewing machine? Oh how I wish my luck could appear!!! It’s been fun seeing everyones quilts! Thanks for hosting this! Oh this quilt festival is always so much fun! What fun! I am so enjoying seeing all these beautiful quilts. Thanks for hosting this! I am so honoured to have my quilt in this fantastic group of quilts. A huge thank you to Amy and all the sponsors for all the work and prizes in the festival. I would love a Baby Lock! I don’t know what a BabyLock is, but since my newest machine turned 30 this year, anything could be an improvement ! 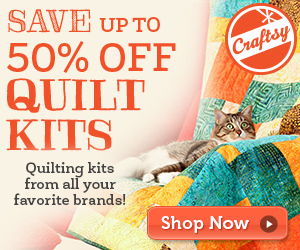 These are all great quilts! Thanks for the chance, Amy. Fabulous quilts! I can’t wait to vote tomorrow!!! Thank you so much for hosting this! Love looking at the entries. Great work everyone. 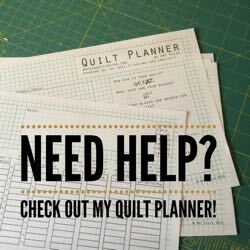 So happy I found your site- I could look at all the lovely quilts all day! Thank you! Beautiful selection of quilts. The talent around is just amazing. Thanks for putting on this great event. Good Luck everyone, great prize. Each of these quilts certainly deserves it’s place here! A hearty “Well Done” to each quilter here!!!! Great quilts! It was hard to choose just two favorites! :-) Would also looooove to win a babylock! Great festival! So much talent….very inspiring. Thank you for sponsoring such a wonderful event so we can all share in the display of quilting talent. So many friends made the vote – fantastic – but I can’t pick between them!!! That is a huge prize. I am really enjoying my first “trip” to the blogger’s quilt festival. Congrats to all the artist!!! What a difficult task to pick a winner! Not sure what is more awesome- the prizes or the quilts! WOW! These are wonderful quilts! I voted! Good luck! 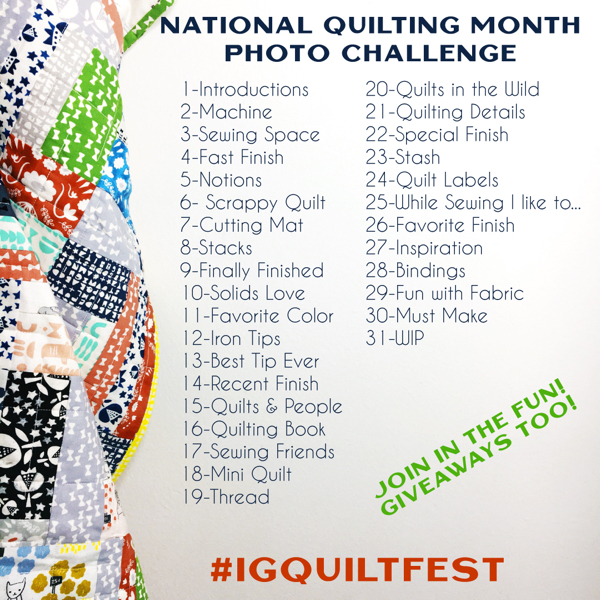 I Just found this contest and I love to see the quilts of all the entries. 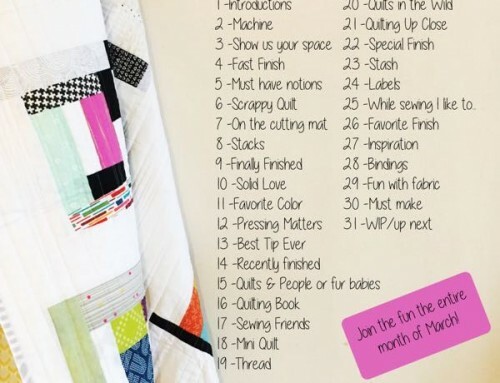 I love all the quilts so that makes it extra hard to choose a favorite or two! Would love to win the machine. Thanks for the chance. Sincerely, Paula K.
It is hard to choose among such great colorful, unique quilts! Thank you for the opportunity to win a new machine! Such beautiful quilts. I love looking at each one. Great inspiration! Gorgeous quilts! So much inspiration! Thank you for the chance to win. Beautiful quilts. Baby oh baby, I would love to win a Baby Lock. Wow a machine is an amazing prize to win. You have done so much in the organizing and co-coordinating of this festival. Well done. Sure would be great to win! Such an amazing display of talent!! Thanks for hosting this great celebration! I am in awe of the outstanding and gorgeous quilts! Each one spectacular. Some have left me without words to describe how beautiful they are. Some amazing quilts to choose from. I managed to find two that are just beautiful! Such great quilts. It is hard to vote! Thank you for hosting. Thanks for look, os nice. Would love to win a Babylock Melody. Thanks for the chance to do that! Great quilts and great machine! Would love to win the machine. Wow.. great sewing machine..what an awesome prize! 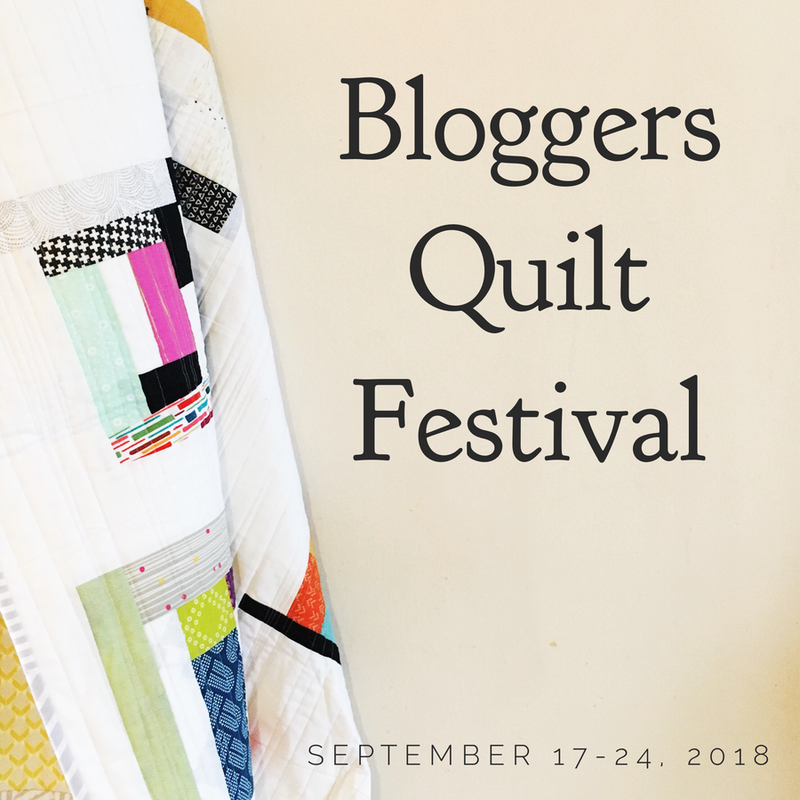 I have enjoyed the Bloggers Quilt Festival. Thanks for the chance to win a machine. What beautiful quilts. Great show. Stumbled across this quilt show today and am loving it! What wonderful, creative participants! Thank you for hosting the Festival. The quilts are spectacular!! Beautiful work by all the quilters!! I love this Festival! Love seeing all the quilts.
. The usage of design and color will bring out your creativity and get your projects noticed.